The Multiple Autochthonous Rabbit Eco-Types (MARET) traces back to my last year in primary school (1991-92). 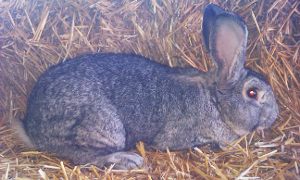 I was thirteen and there were some rabbits in my parents' farm. After several unsuccessful attempts, I started collecting their pedigree data. 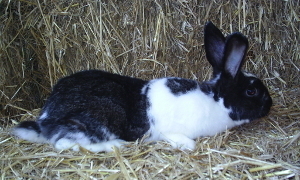 Of course I had no idea about quantitative genetics, animal breeding, inbreeding... nor had I planned the foundation of a new rabbit line (I was five years shy of being addmited to Vet school). Nevertheless, it was the beginning. In January, 2018, there were two active bucks and seven does in the farm. Although these small numbers may be seen as useless, current breeding stock are the witness of more than 5,300 bunnies born from 714 litters since 1992. 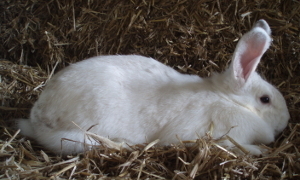 Between years 2015-2017, purebred does averaged 6.85 bunnies per litter, and their weaning weight (30d) reached 546.0g; subsequent average growth was 27.2g/d with 3.9% mortality during the fattening period. As an example, the first litter born in 2018 was 72.8% inbred. Current coat patterns are Dutch-like and solid (sometimes with white marks on feet, chest, nose and forehead), and color restricts to Agouti (or gray Agouti). 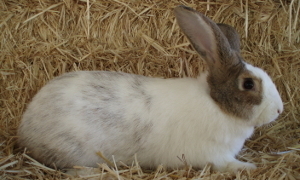 The MARET population was accidentally founded in 1992 by the acquisition of one doe (F04; Vilafraser, Spain) and one buck (F02; Salt, Spain) from two rural rabbit farms without known relationships among them. 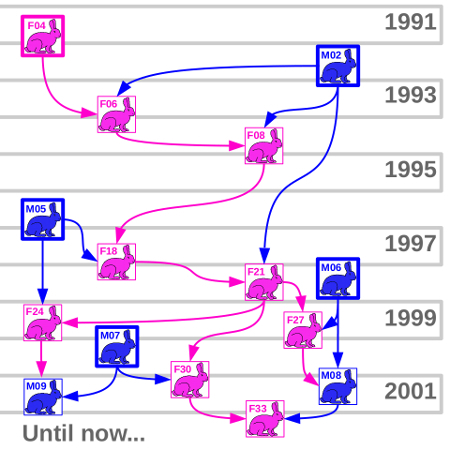 After that, three more unrelated bucks were acquired on 1996 (F05; Vilafraser, Spain), 1998 (F06; Girona, Spain) and 1999 (F07; Sant Gregori, Spain), and they contributed to the formation of this rabbit population as shown below. After F07, MARET population was closed to additional foreign contributions with all subsequent buck and doe replacements generated from purebred MARET animals. 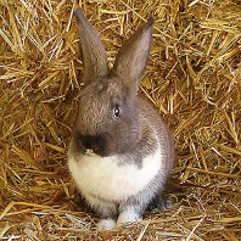 Casellas J, Vidal-Roqueta D, Flores E, Casellas-Vidal D, Llach-Vila M, Salgas-Fina R, Casellas-Molas P (2011) Epistasis for founder-specific inbreeding depression in rabbits. J. Heredity 102: 157-164. Casellas J (2018) On individual-specific prediction of hidden inbreeding depression load. J. Anim. Breed. Genet. 135: 37-44. A picture of buck M26 (2010-2011) is still available in the Spanish edition of "Scientific American" (i.e., Investigación y Ciencia), published online in 2011. 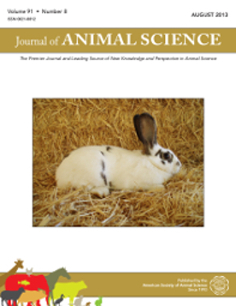 Doe F54 (2006-2008) appeared on the cover page of Journal of Animal Science in the issue of August, 2013. 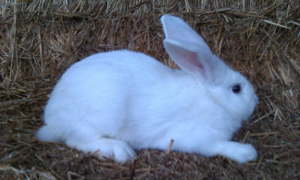 This was a low productive female (five litter and 3.6 bunnies per litter) with photogenic abilities.